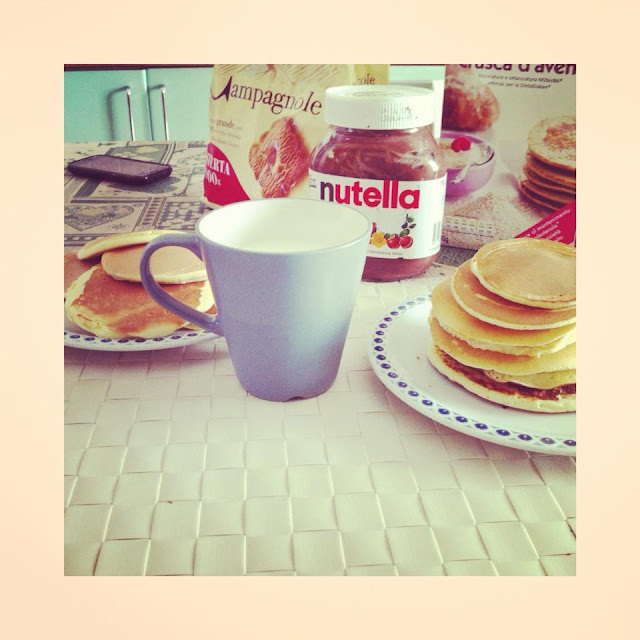 Only Happiness - Arianna and friends: Pancakes ! Today's breakfast babieeees ! Don't you love pancakes guys? I think ther isn't a better thing than starting the day with a big breakfast, maybe with milk biscuits an nutella... and if you have some time...pancakes are the best thing !! Oh...I was forgeting.... School is finished and now summer is started!! !